The economic and safety implications of lightning can be devastating. In general, the highest point of a facility is the most vulnerable to a direct lightning strike. Lightning rods or air terminals are needed to capture the strike to a preferred point and to safely conduct the energy to ground to minimize the risk. 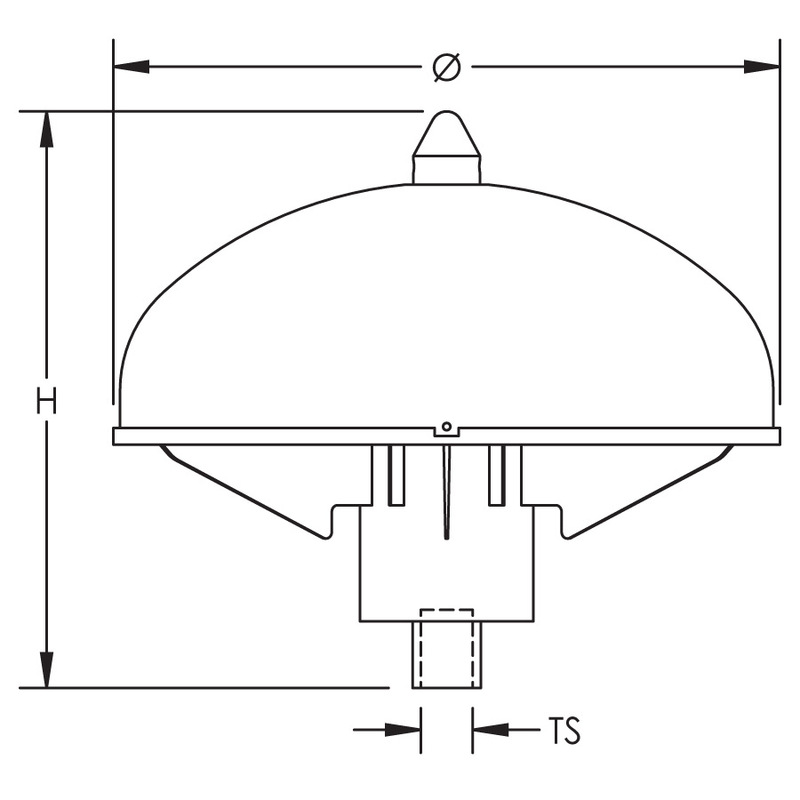 The ERICO Dynasphere air terminal provides a preferred point for lightning discharges which would otherwise strike and damage an unprotected structure and/or its contents. The primary function of an air terminal, or air termination system, is to capture the lightning strike to a preferred point, so that the discharge current can be directed via the downconductor(s) to the grounding system.